Our first meeting of the year was a Members photo evening with images taken in Europe, Asia and North America of a varied range of aircraft to suit everyone’s particular interests. Particularly fascinating were a set of scans taken by Colin Potter from an external collection of ‘photo’s which had been mainly taken at East Anglian airfields 30-50 years ago, many of which created a lively debate as to “where” and “when”. Our next meeting on February 6th is the AGM and all are urged to attend what is arguably the most important meeting in the calendar. Volunteers to be nominated for the role of Secretary are sought. Mike Kemp resigned as Secretary effective the AGM and in the absence of anyone volunteering to take over Brian Richards agreed to temporarily undertake the Secretary role in addition to being Chair. The Air-Britain Branch Co-ordinator (Phil Kemp) has agreed a 3 month moratorium in order than a solution satisfactory to Air-Britain affiliation of the branch may be reached. This arrangement was endorsed by those attending the AGM. Alan Jones agreed to continue as Treasurer was re-elected unopposed . Meeting and Newsletter fees remain unchanged for 2013. Thanks to Kevin Jarvis for agreeing to continue as “kit-man”, Michael Jones as O-I-C for the branch website, and Derek Harknett for refreshments and branch book sales at the Fly-In. Full Minutes of the AGM will be posted on the website in due course. Our next meeting is 8pm Wednesday 6th March when Bob Crowe will talk about his long experience in selling Cessna pistons. An almost full turnout of branch members enjoyed an informative and amusing illustrated presentation by Bob Crowe on his 50 years in aviation with especial focus on his very successful career in GA sales around the globe. Thanks to Mike Kemp for arranging this talk. The raffle again proved popular. It was announced that John Tietjen has agreed to take responsibility for all future Guest Speaker evenings as from May next and in view of this key role he has been co-opted onto the branch committee to work alongside the Chairman/Temporary Secretary and Treasurer. It is hoped that an announcement regarding the Secretary role will be made shortly. Also, Phil Kemp has agreed to run with A-B book sales with immediate effect and Mike Kemp to be the conduit for photographic submissions to the website. The evening was also the unveiling of our new projector (see photo below) and the vast improvement in optical quality was most apparent and will give a major boost to our evenings. The next meeting is Wednesday 3rd April when we have Mike Biddulph and John Treliglas making a presentation on the restoration of Proctor G-AKEX at Great Oakley. A bumper turnout including many new faces gathered at the Silver Jubilee Hall to hear a superb account of Mike Biddulph’s life growing up as a son of a Percival Proctor owner and his love of this aircraft influencing his decision to start restoring this much admired but now scarce machine. Mike provided great commentary about how Great Oakley has become the home of four Percival Proctor’s and the process of restoring the aircraft from “farm fresh” condition to full flying status. Mike’s team including main reconstruction expert John Tregilgas came along and brought some of their work for the audience to view in person. It was announced that former Chairman Alan Brown was unwell and had been admitted to Hospital. A card was passed around for well wishers to sign. This month we were treated to a large collection of slides showing the history of the Boeing 737 as seen by branch member Derek Harknett. The Boeing 737 is clearly the most successful airliner ever produced. Since it’s first flight in 1967 over 7,500 have been produced and many more are still on order. Derek’s slides showed the development from the 100 series through to the next generation models. The show highlighted many airlines that had come and gone and how many of these had been in to Stansted at some time during their operation life. Phil Kemp briefed Meeting Attendees on the duties required for this years Air Britain Fly-in at North Weald. Once this was completed the remainder of the meeting was dedicated to members photos. This month’s meeting saw an old Branch friend return from Australia to show photos of the Echuca Airshow and others taken around the Melbourne area. There was also a second helping of Sun N Fun 2013 photos which was held at Lakeland, Florida and attended by some of the branch members. Graeme Douglas gave a superb presentation comparing the Boeing B-17 Flying Fortress to the Consolidated B-24 Liberator. Graeme weighed up the pro’s and cons of each aircraft and explained why each type was preferred by the USAAF, USAAC and US Navy and their capabilities. 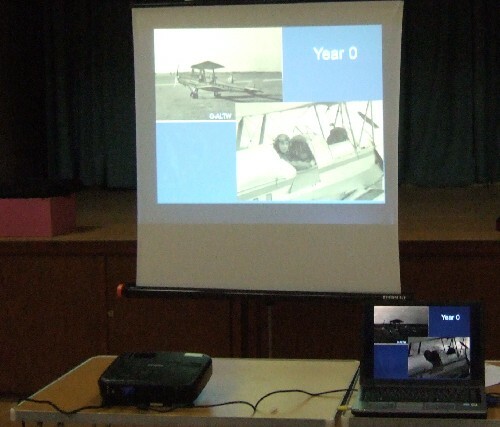 The talk was captivating whether you were a fan of military aircraft or not. This month’s meeting provided a photographic presentation by Geoff Abbott who displayed pictures taken on his recent visit to China. 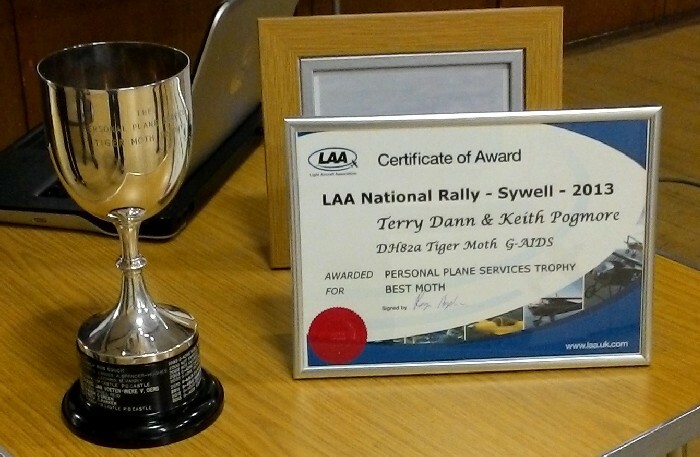 Nigel Kemp showed shots taken at this years LAA Rally which took place at Sywell. December’s meeting comprised of the Photo competition which was won by Colin Potter (pictured with the winners trophy below). 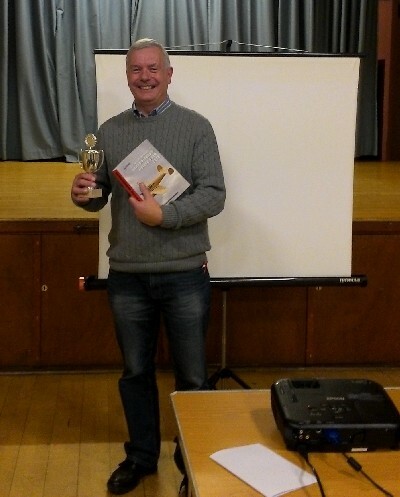 (All attendees were allowed to vote and allocate points to their favourite three shots) and the annual quiz which was compiled by Nigel Kemp.